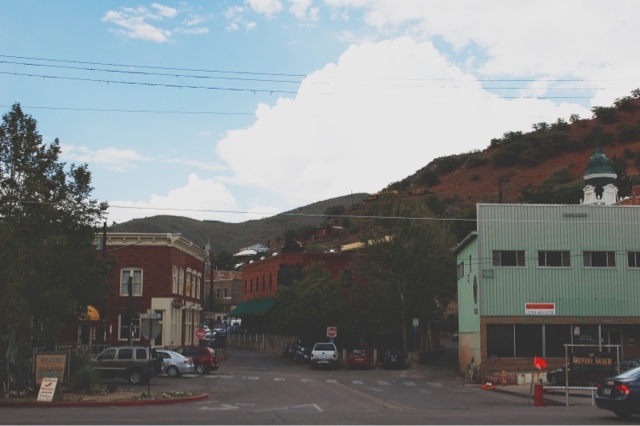 Bisbee was the cutest town. Which allowed for entirely too many hipster photo opps, almost regretful antique purchases, and several delicious coffee stops. As we toured, the weather slowly turned to an overcast moody day. A light sprinkle of rain kept us running in and out of the local shops, pondering our need for vintage luggage, giant outdoor furniture, and the amount of junk/treasure we could realistically fit in the car. 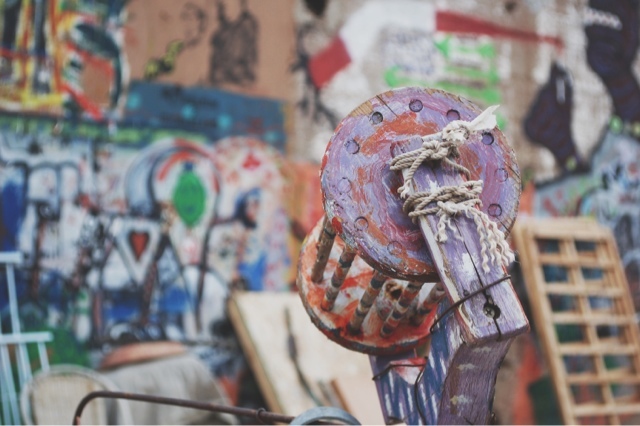 A favorite moment must have been when we stumbled on the most odd, creative art installation - which seems to have been completely random, and built up over time. There were no names to credit, and no reason to when or why this cropped up, other than an opportunity to beautify an old empty lot. People's minds are fascinating sometimes. How Fun!! 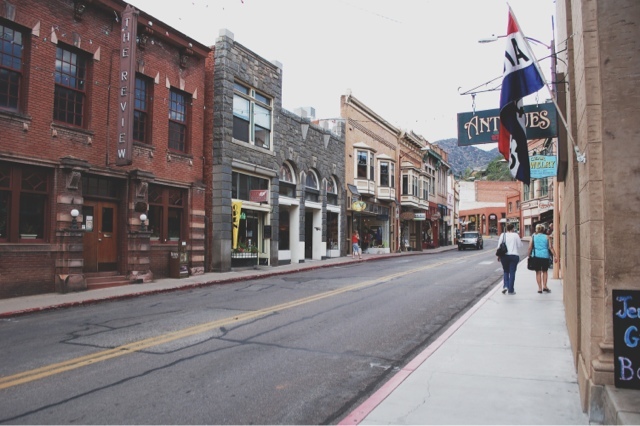 You have me wanting to go visit Bisbee now. You should go for sure! Definitely worth a day trip from Tucson. It's so fun to explore all the cute little towns in our state! I'd have to agree with Brittany... 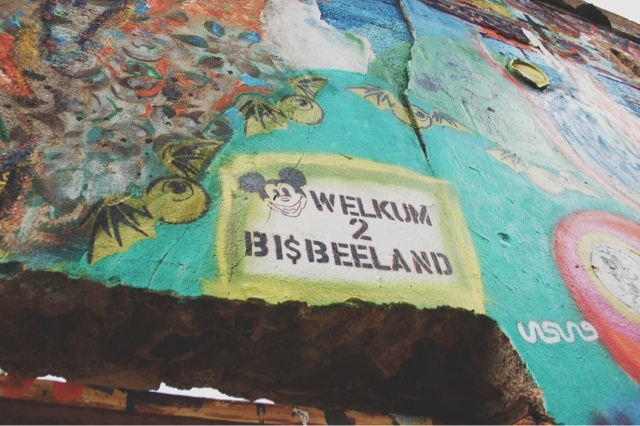 I want to go to Bisbee. Like now. Do it! It's the cutest little town. Absolutely worth the drive just to walk up and down the cobblestone streets & pop in to all the shops. 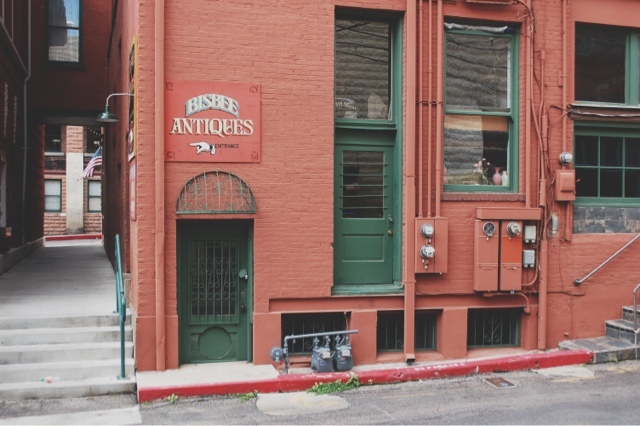 Ahhh I love Bisbee! 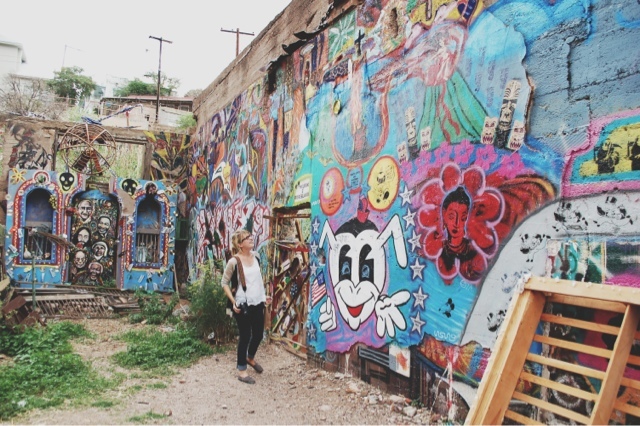 I went just before moving away from Arizona and I still think it'd be such a fun place to end up one day. 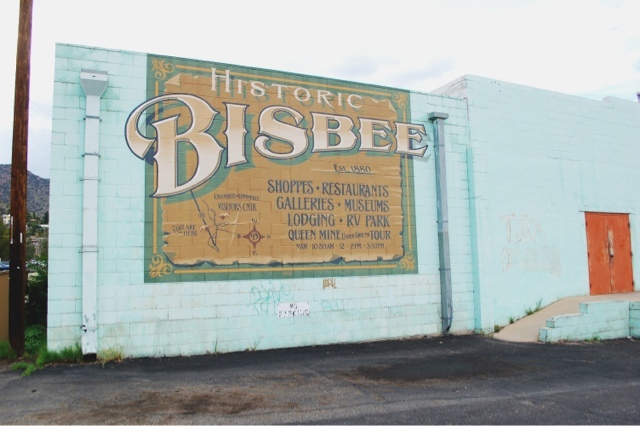 I have yet to visit Bisbee, but I think I would love it there! These photographs make it look so fun! Have you heard of The Shady Dell? 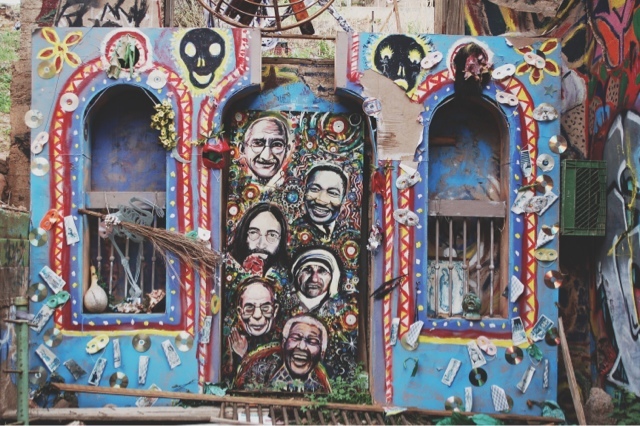 http://www.theshadydell.com/ I want to go visit it so bad! !